PUERTO RICO (February 17, 2014) – Team Puerto Rico’s undefeated pride and joy, Jose “Sniper” Pedraza (15-0, 10 KOs), will make his way back to the ring on March 22nd, at the auditorium Juan Pachin Vicens in Ponce, Puerto Rico. The unbeaten star will battle Mexico’s, Alberto “Kichis” Garza(26-1-1, 21 KOs), for the vacant International Boxing Organization super featherweight title. The 12-round main event bout promoted by Gary Shaw Productions, Universal Promotions andDiBella Entertainment will air live only in the U.S and Puerto Rico on Direct TV at 9:00 P.M. EST. Pedraza, Puerto Rico’s next big sensation, has fought tough competitive fights on HBO Latino,Shobox, ESPN, and now Direct TV. In 2014, Pedraza has plans to conquer all in his path, as he works his way toward a world title opportunity. Ranked WBC #9, WBA #10, IBF #11, and WBO #15, Pedraza is well on his way to accomplishing his goal. 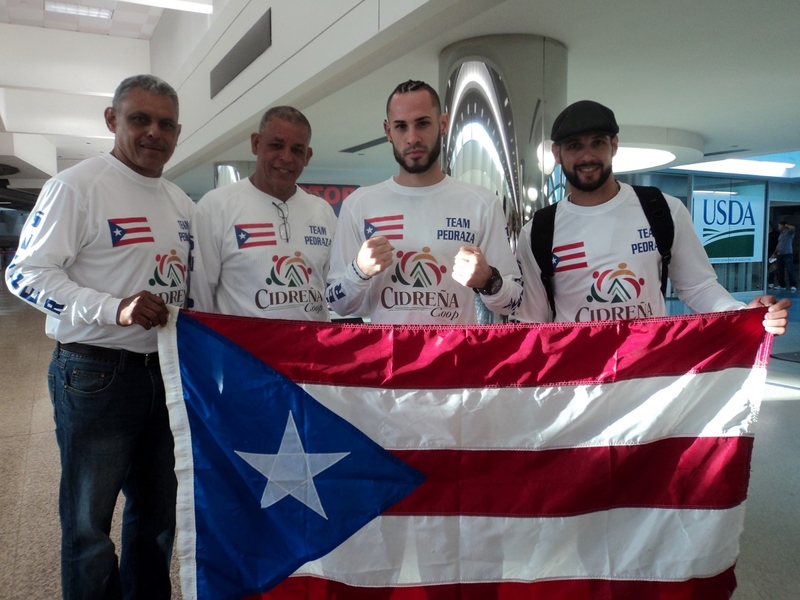 Pedraza is a member of “Team Puerto Rico”, which is a collaboration between Gary Shaw Productions, DiBella Entertainment and Universal Promotions, made with the goal of gathering the best of Puerto Rico’s boxing talents.